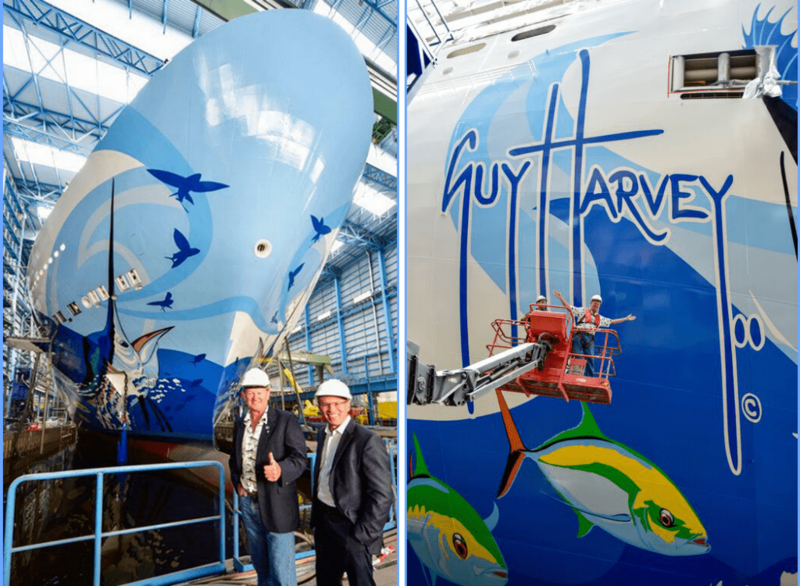 Marine wildlife artist Guy Harvey will be debuting his artwork on one of his largest canvases to date, Norwegian Escape. The ship will be the newest and largest in the cruise line’s history. Spanning more than 1,000 feet from bow to stern, the custom-designed artwork features Caribbean sea life, including Harvey’s signature sailfish. Norwegian Escape will set sail on November 14, 2015. Carnival Corporation announced this week that its support for the The Nature Conservancy through its Carnival Foundation – a $2.5 million gift over a five-year period, which started in 2014 – has already helped build coral nurseries, transplant 20,000 corals, and install reef enhancement structures. Nature Conservancy reps say the support will help conserve 21 million acres of Caribbean coast and waters and provide the knowledge necessary to preserve vital marine resources for years to come. Oceania Cruises is expanding its culinary tour offerings to include multi-day excursions. Starting in spring 2016, Culinary Creations Land Tours will be available in Rome, Barcelona, Provence (Monte Carlo), Tuscany (Rome/Civitavecchia), Greece (Athens), London, and Argentina (Buenos Aires) during select sailings aboard Nautica, Marina, Riviera, and the newest addition to the fleet, Sirena. Guests will have the opportunity to interact with local culinary experts by traveling to different food markets, cooking schools, restaurants, and attractions. The Culinary Creations Land Tours range from 2 to 3 nights and are available as pre-, post-, or mid-cruise options. Costa Cruises announced an order for two next-generation cruise ships that will feature a revolutionary “green design” as the first ships in the cruise industry (together with two new ships previously announced for AIDA Cruises, Costa Group’s German brand) to be powered by liquefied natural gas (LNG), the world’s cleanest-burning fossil fuel. Expected delivery dates are 2019 and 2020. Each ship will offer a total capacity of 6,600 passengers.